As shown in the given Los Angeles location map that Los Angeles located in the south-west region of the United States in the state of California. Los Angeles is the most populous city of California and the second most populous city of the United States after New York City. Initially, Los Angeles was founded on September 4, 1781 by Spanish governor Felipe de Neve. 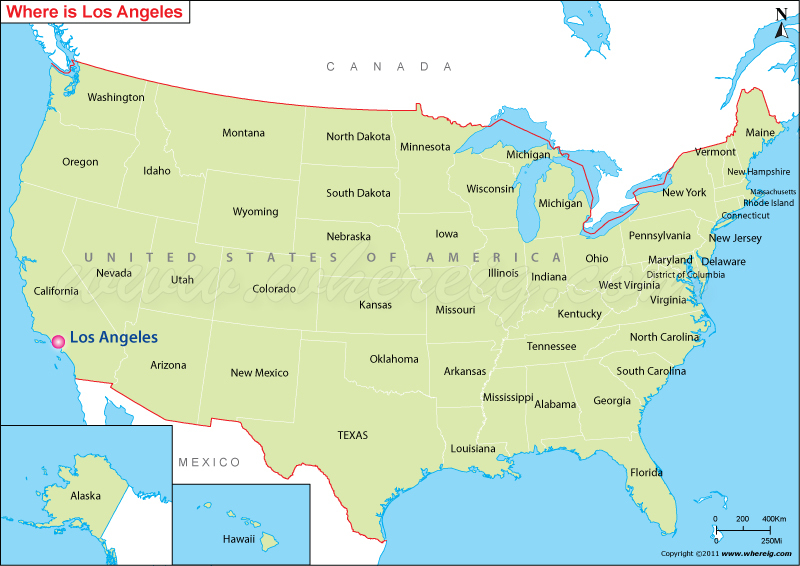 The inhabitants of Los Angeles are more commonly referred as "Angelenos". Interestingly, Los Angeles is the home of Hollywood and hence it is known as "Entertainment Capital of the World". Likewise, it is the leading in the creation of motion pictures, television production, video games, and recorded music in the world. The city is divided into more than 80 districts and neighborhoods. Furthermore, Los Angeles has Mediterranean climate and it experiences about 35 days with measurable precipitation yearly.